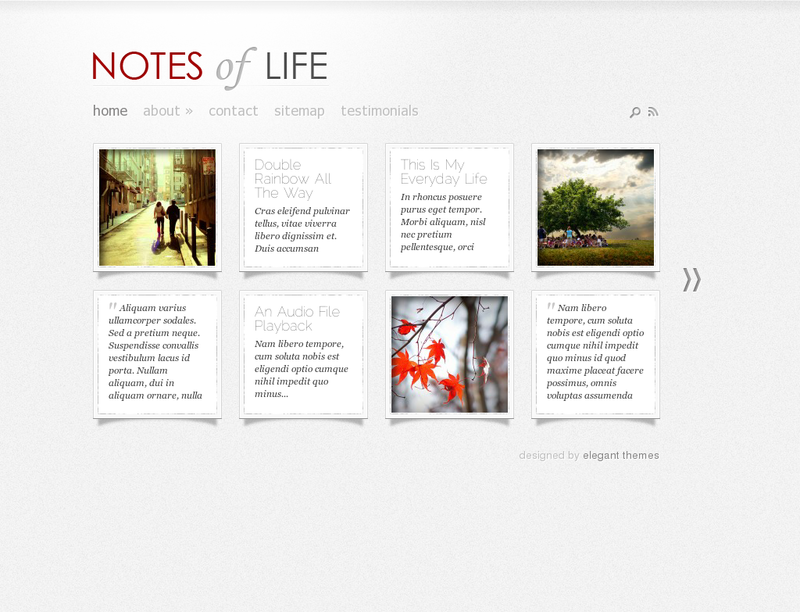 DailyNotes was to make the simplest and most elegant medium possible through which you could share your daily life. The theme is very minimal in its design, and has been trimmed down to the bare essentials. For anyone looking to create a fun and inviting personal blog, I'm confident that DailyNotes will serve you well!.